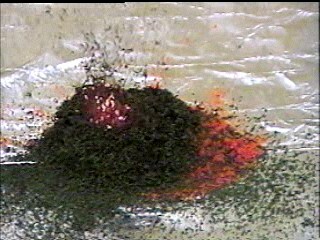 While the ammonium dichromate decomposes, it gives off orange sparks and throws the green chromium(III) oxide crystals into the air, producing an effect that looks like a miniature volcanic eruption. 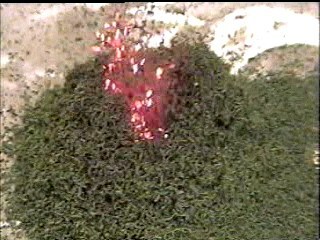 The chromium(III) oxide crystals that are produced are "fluffier" than the original ammonium dichromate crystals, and even though a lot of the mass of the starting materials escapes as vapor, the product looks like a larger amount of material. 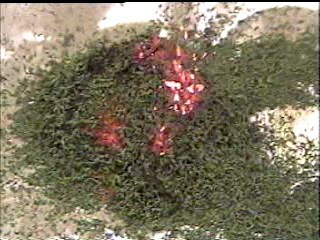 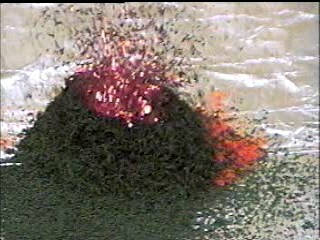 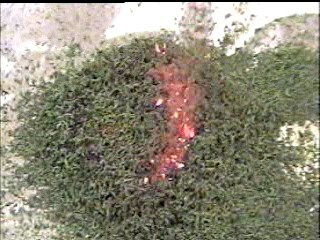 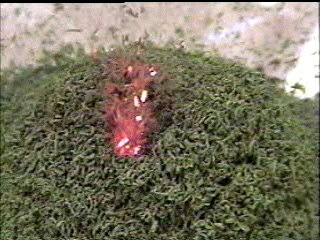 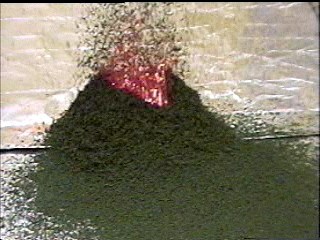 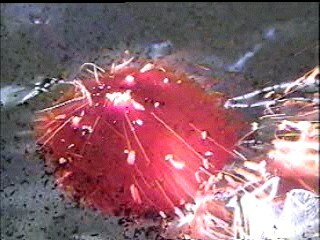 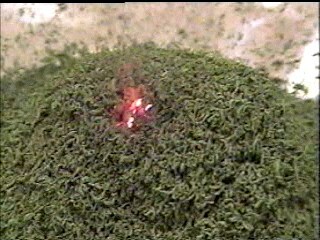 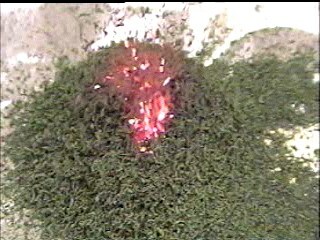 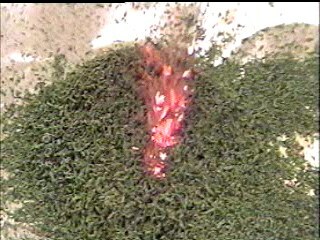 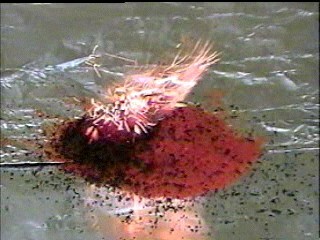 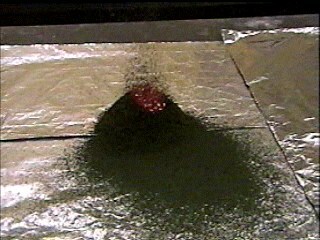 In the following demonstrations, a pile of ammonium dichromate is ignited with a Bunsen burner, producing the "volcano" effect. 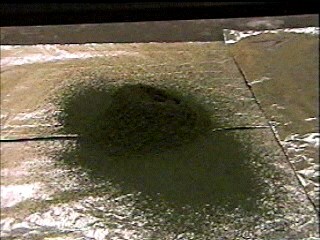 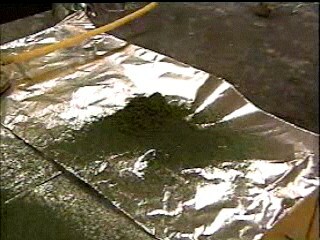 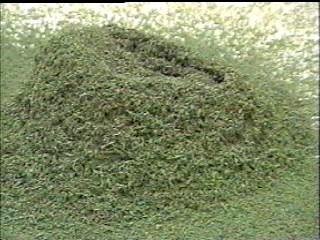 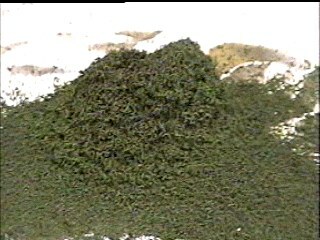 Notice the volume of the green chromium(III) oxide solid produced, and how far the crystals have been thrown. 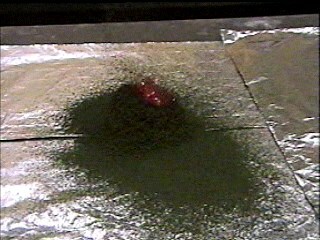 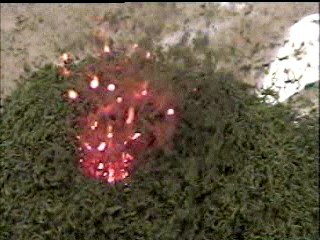 The second video clip shows a similar demonstration at a closer magnification. 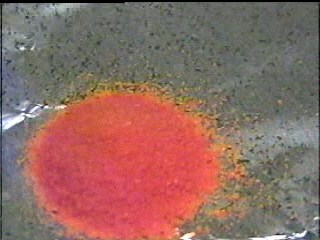 Chromium salts are irritating to the skin and respiratory tracts, and are also carcinogenic. 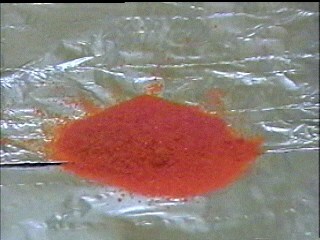 (The ammonium dichromate contains chromium in the hexavalent, Cr6+ form, featured in the movie Erin Brockovich.) 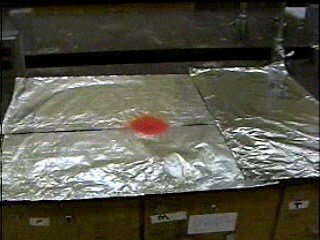 The best way to do this demonstration is on a large piece of aluminum foil, which can then be used to wrap up the chromium salts produced. 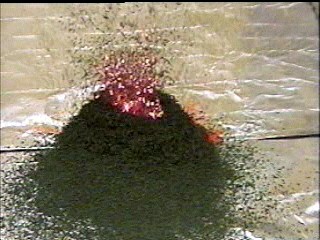 Decomposition of Ammonium Dichromate: Bassam Z. Shakhashiri, Chemical Demonstrations: A Handbook for Teachers of Chemistry, Volume 1. 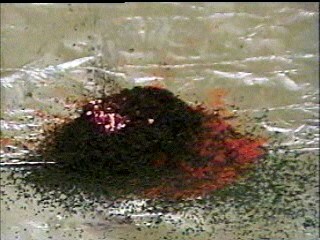 Madison: The University of Wisconsin Press, 1983, p. 81-82.